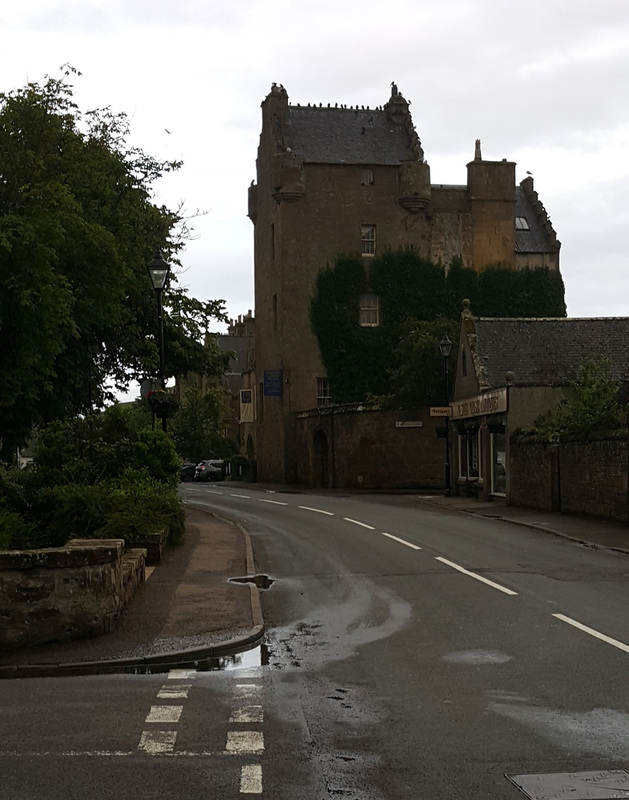 The historic Dornoch Castle Hotel is located directly across from the town square in the center of Dornoch, Scotland. 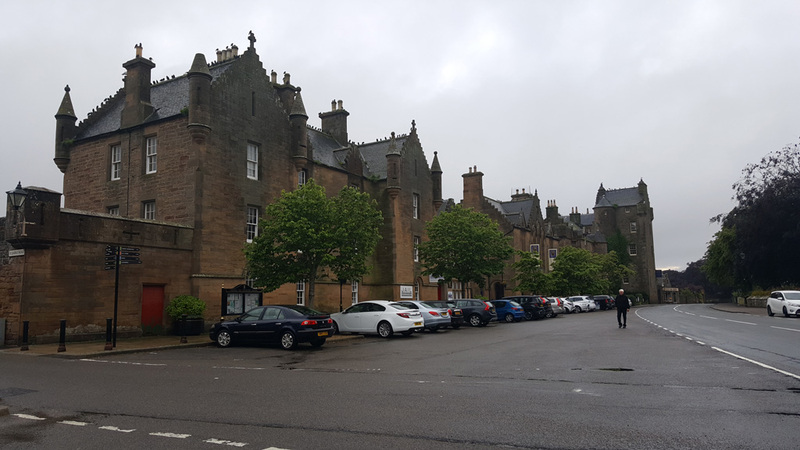 The castle’s prime location next to the Dornoch Cathedral makes it a perfect home base for visitors in town to play golf or just explore Dornoch and the surrounding countryside. 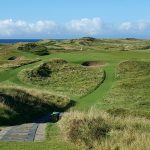 The Castle is within a pitching wedge of all of the top restaurants in town and just a short walk along two quiet residential streets from the famous links course of Royal Dornoch. 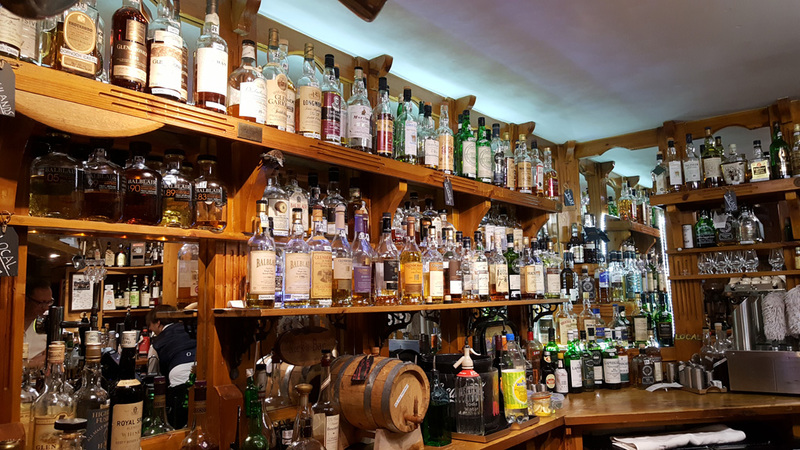 Dornoch Castle Hotel isn’t the most luxurious hotel in Dornoch but it’s central location, great whiskey bar and castle restaurant, make it the complete package for guests visiting this beautiful northern Scotland town. 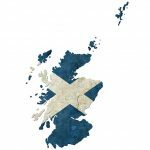 When it comes to room options, Dornoch Castle Hotel can be a little confusing mainly because every room in the hotel is different. The rooms rising above the ground floor start at a higher price point than the new modern wing off the side of the restaurant. These Standard Gardens rooms in the new wing don’t come with the history of the older castle rooms inside the main building, but they are still a very nice option for the budget minded traveler. We chose to keep it modest and booked a room for two nights in a Standard Garden room and were very pleased with the accommodations. But the rooms in the hotel isn’t what makes the hotel such a special place to stay. It is the awesome Whiskey Bar on the bottom floor and the Garden Restaurant that sits between the modern wing and the lobby. 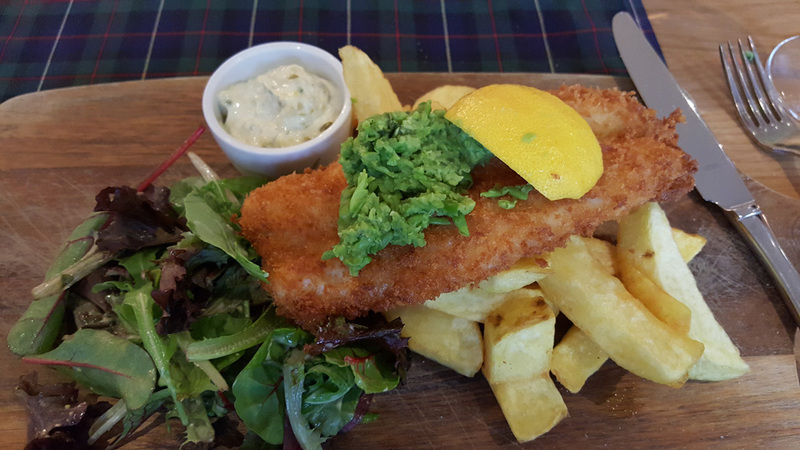 The Fish and Chips was one of the best meals I had during my visit to Scotland. But as special as the hotel, Whiskey Bar and Garden Restaurant are at Doroch Castle, the most memorable thing during my stay was the friendly and accommodating staff that went above and beyond to do everything they could to make our visit special. They were constantly going out of their way to assist with transportation, baggage, and help with recommendations in town. The service was just like staying at a small Bed and Breakfast, all while being in a fairly large hotel. 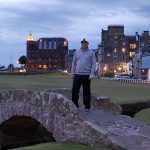 On the last day of our stay, we played the world famous Royal Dornoch Golf Club, which is just a short walk past the town square up Golf Course Road to the breathtaking course on the edge of the North Sea. 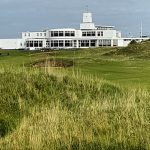 It’s an easy stroll even if you are carrying your clubs so don’t let the distance scare you away from staying here during your visit. 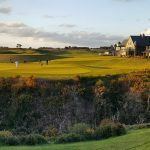 The modest walk will allow you to get the blood flowing before teeing off at one of the best links courses on the planet.